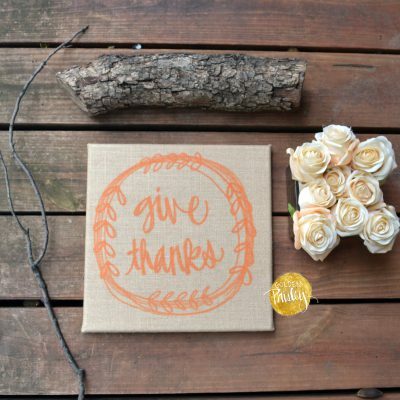 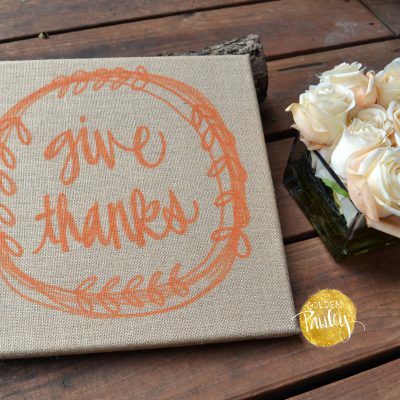 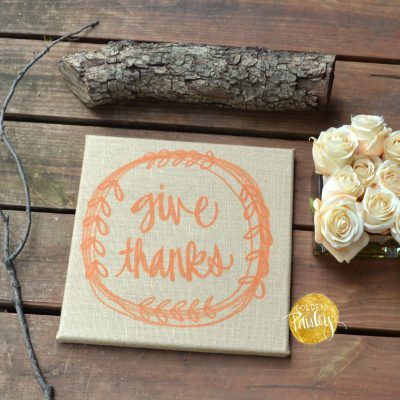 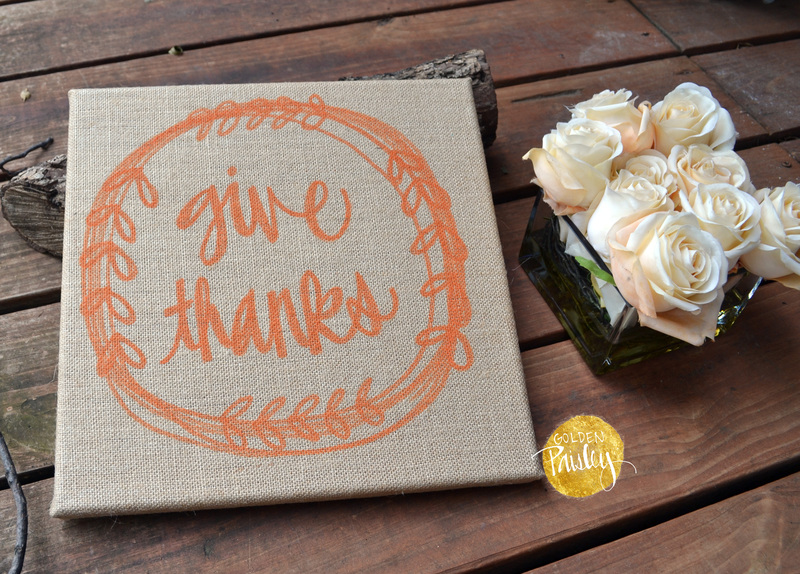 This 12 x 12 inch burlap canvas features the words “give thanks” in a festive hand lettered design. I love the rich holiday feel the burlap background with orange text gives this sweet canvas! 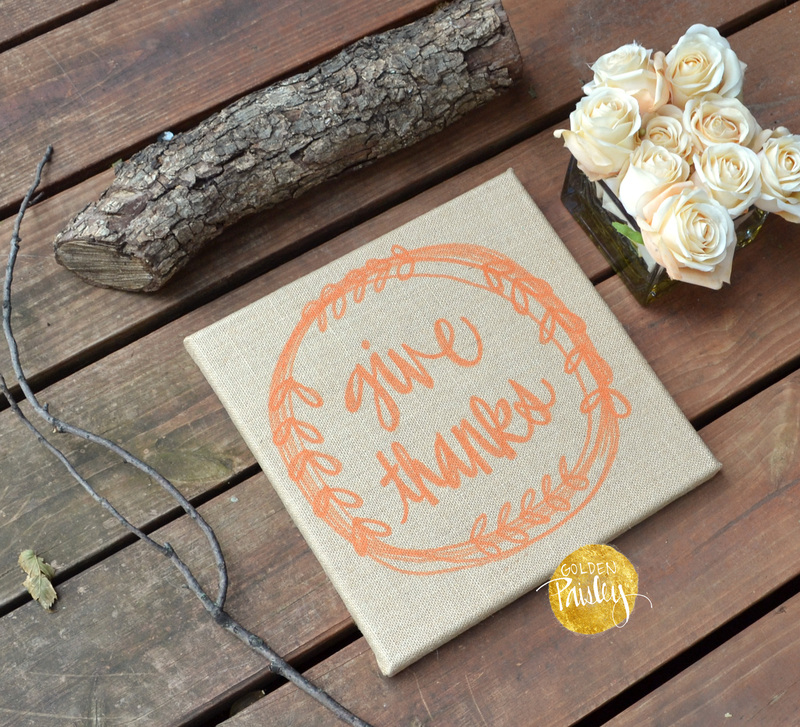 This wall art is the perfect fall decoration and Thanksgiving sign to decorate your home with in the fall season. 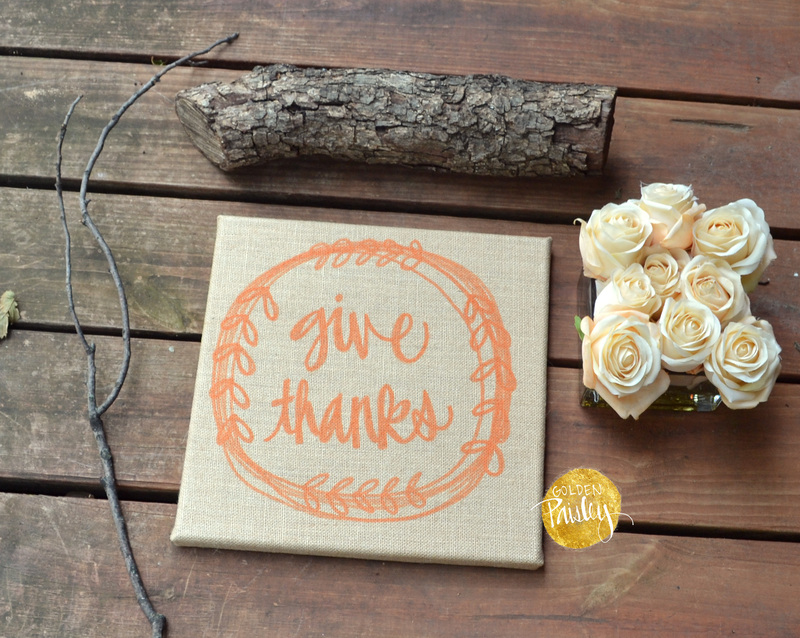 It would also make the perfect hostess gift for your Thanksgiving celebration. 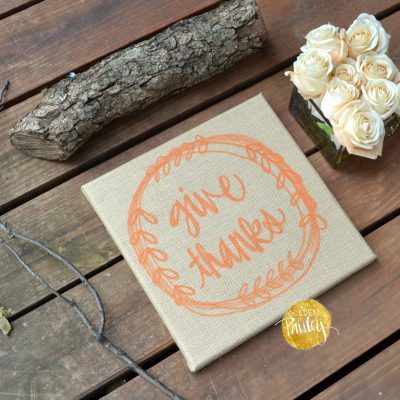 Each hand painted sign includes hanging hardware on the back.